Below is a copy of a letter sent to the Nordic Center by Mike Nolan, owner of the Elk Mountain Lodge in Crested Butte. This letter was also published in the Crested Butte News on 11/19. Nolan’s letter makes it clear that the Nordic Center’s and Silent Tracks’ current intentions are not community-oriented. Additionally, this letter sent waves throughout the community, and more businesses and individuals plan on holding back their financial support of the Nordic Center until they become more mindful of the needs of the Crested Butte Community. Thank you to Mike Nolan and other businesses and individuals who striving to keep the Slate River Drainage open for multi-use access in winter! Fat biking on the Slate River Road in winter is fun! Photo courtesy of Gunnison-Crested Butte Fat Bikers. I am writing because I am concerned about the image you are creating for CBNC in our community and it is very painful to watch. I’m concerned because I love the Nordic community and the trails we are so lucky to have. After serving on the CBNC board myself, volunteering many hours, and donating as a business sponsor for a decade or more, I feel let down. I have been defending you for years to many user groups and have witnessed the polarization you have created for yourself. First it was the dog owners, then the fat bikers, and now the hybrid backcountry skiers- snowmobilers. Are there any user groups left to upset? Some simple transparency and public relations would go a long a way. Starting a non-profit that polarizes you even more does not seem to be in your best interest. The fact that you are working under the umbrella of White River Wilderness workshop, the same group that attempted to close some of our Mountain Biking through Hidden Gems, seems controversial as well. Whether you like it or not, Keith, Skip, and Beth’s decision to start Silent tracks directly affects CBNC. There is no separation, the town is too small. I understand winter travel management is up for review and now is the time to give input. Good on you for thinking ahead. The problem is the title of your new organization “Silent Tracks” suggests you don’t want snowmobiles around. What are the backcountry skiers that use snowmobiles supposed to think of this controversial title? Remember the Slate River Valley holds roughly 50% of the backcountry skiing here and it’s a county road used by many user groups. It will be very difficult to get it closed to snowmobiles. If you try to groom the Slate will it be closed to dogs and fat bikes too? Is it worth dividing the community and tarnishing your image even more? I am only addressing the Slate River Valley because it really is everyone’s concern. I do not want the Slate to turn into another “Kebler Pass” trailhead either but believe there should be some light regulation, not closure. Regulation was a common word being used in reference to our actual problem with summer management. CB is growing and some regulation makes sense. Why have you not suggested regulation if you are so concerned? This “no solution” idea only leaves the community wondering what your true objectives are. Everyone knows you want to groom the Slate, it is part of your mission. Why not groom it for everyone including the snowmobiles? I’m sure the proper funds could be raised. Why not offer some ideas to make things work for everyone? Here are some regulation suggestions: permits-pay to play, limits on parking, speed limit for the first 2 miles. Have 2 trails where possible and share the rest. When I was on the board we always tried to let the community know how much Nordic contributed to the economy. This is still very true but you are forgetting how much backcountry skiing and fat biking generate for our economy too. A lot of avalanche courses are taught here, backcountry equipment sold, bikes rented, events hosted, and post ski/ride meals etc. The reality is new sports are growing fast too. 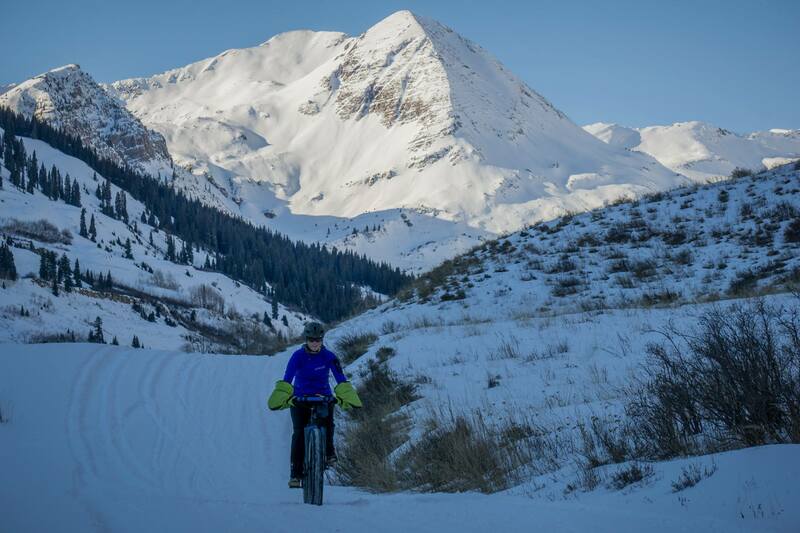 Fat bikes and backcountry skiing are huge. Fat Biking grew 400% last year and according to Lou Dawson, 2015 SIA stats show backcountry skiing growing in double digit numbers for many years in a row now. I will not be renewing business my business sponsorship this year, I cannot be associated with you anymore. Don’t ask for comp room nights, in-kind donations, or Alley Loop prizes. I will sponsor the Jr. Nordic Team instead. Many people in the community want a statement, not artificial collaboration. Please save CBNC’s reputation because there really are A LOT of upset people. Groom it for everyone, agree on some regulation, and move forward. Never thought I would say it but make another dog trail and fat bike trail. Pass sales might go up and you sure could use some positive public relations. I thought you were a community ski area, not a self serving special interest group. Your trails are not that busy and you struggle to keep the existing product groomed properly, you don’t need the Slate. You are starting another Snodgrass episode and this time you are the one attempting to take recreation away from people. Is it worth it? FYI- I believe Skip would have won the election if he was not associated with Silent Tracks. A copy of a letter sent to the Nordic Center by Mike Nolan, owner of the Elk Mountain Lodge. This letter was also published in the Crested Butte News on 11/19 and created waves among the Crested Butte community.